Sporting fake Rolex watches, iPhones, fake BMC car keys, and speaking Cantonese, six men from rural Anhui Province became fake Hong Kong businessmen and managed to scam 100,000 yuan (about $15,000) from dozens of people in the city of Wuhan, central China. In one case, one of the men approached a 19-year-old female college student, who was taken in by his stylish attire, the Chutian Metropolis Daily reported. Speaking in a heavy southern accent, he asked her where he could find an HSBC Investment Bank, then borrowed her phone and had a lengthy conversation in Cantonese, which is spoken as a lingua franca in Hong Kong. After the conversation, the man invited the student to coffee. While talking, he claimed that he was in the mainland to pay bills for a hospitalized friend, but was unable to withdraw any cash. The woman was convinced and lent him 3,000 yuan (about $460), which he promised to pay back the next day. Instead, he took the money and disappeared. Cantonese is a Chinese language spoken in southern China, Hong Kong, and among overseas Chinese that is not mutually intelligible with Mandarin, the official language of China, though the writing systems are mostly compatible. Because southern Chinese have a reputation for being good at business, Cantonese has earned a certain level of prestige among class-conscious mainlanders. 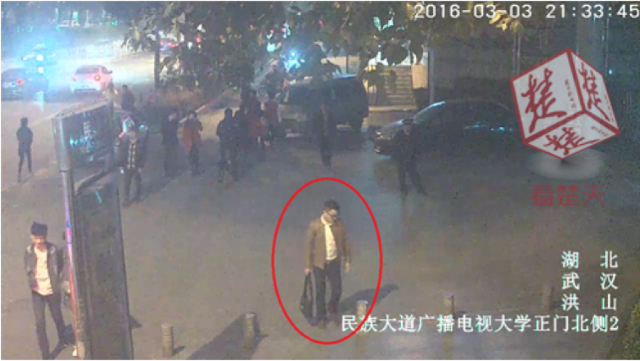 The six men were arrested on April 22 by the Wuhan police.